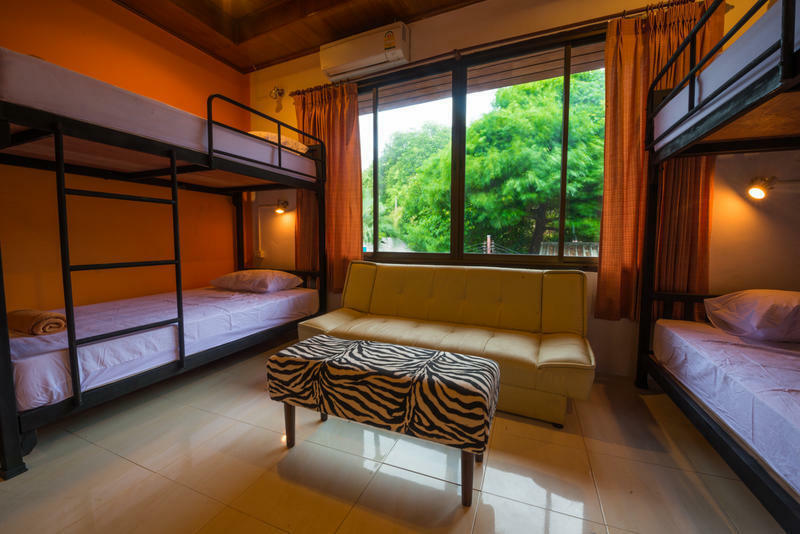 Goodtime Beach Hostel is located in the middle of Sairee Beach - Koh Tao's longest and most popular beach. The South Sairee area maintains a number of bars and restaurants within easy walking distance, not to mention convenience stores, pharmacy's and clothing shops. The beach itself has some large granite rocks making an amazing backdrop to the sunsets with a wide beach area perfect for sunbathing, swimming, snorkling or throwing a frisbee. The Goodtime Beach Hostel is easy to access with the hostel reception right on the beach side walking road opposite to a 7/11. The building itself has a number of rooms on the first floor catering to mid range and budget travelers. The spacious dorm rooms all have AC and an internal bathroom along with individual lockers and a power point for each bed. In location is Goodtime Adventures, Koh Tao's premier adventure company offering diving (PADI and SSI courses), rock climbing, half and full day multi adventures (abseiling, hiking and cliff jumping) along with wakeboarding and watersports. The is also a beachaside cafe offering Western and Thai food with weekly BBQs and specials. Blue Immersion Freediving school and a second bar are also in the same location, providing a one stop shop for island fun goodtimes! From Mae Haad you can walk South through the town and find the brick road starting at Cafe Del Sol. From there you walk along the brick road until it turns right and then left up a hill. You will walk past the local school and police station and a number or resorts before it drops down onto the back of Sairee Beach. From there walk approx 250m and just past a road junction is our hotel, just before the 7/11 on the right. Takes 10-15 min.